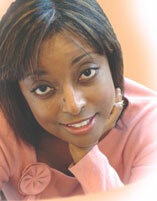 She speaks and writes on a variety of wellness and self care topics related to women. In 2004, Carla decided to nourish her passion to serve the elderly and today, is the owner and operator of an adult day care facility in Houston, Texas. She is now planning her next venture--an assisted living program for low-income elderly residents. Is Carla's story unusual? According to a study reported in Prevention Magazine, not in the slightest; "79% of baby boomers will expect to work at least part-time well into their golden years," the study has revealed. "A growing number of adults are looking at their 40s, 50s, and 60s as the right time to start fresh in an entirely new field." What drives adults to change their careers? The answer, in a word, is midlife. Longer life expectancy plays a part, too. At midlife, says Deborah Carr, sociology professor at Rutgers University, people realize they still have nearly half a lifetime yet to live and wonder how they will spend those years. "They know they're going to have lots of healthy years, so I think it's a period of making choices to live out one's dreams that got put on the shelf during younger years." How would you spend your time each day? Think of the environment you'd like to be in, the people you'd want to know, and how you would relate to them. What activities would you engage in? Chances are your passions come to the surface when you play-out your "winning the lottery" fantasies. Although we're not all destined to be millionaires, that shouldn't hold you back from following your desires and placing more value in yourself, regardless of your bank account balance. Over the next 30 days; make a commitment to yourself to identify one thing you can do to begin pursuing your passion--and start doing it! Research ways to integrate your passion with your current obligations and take those first steps into your second career with achievable goals. You'll soon discover that living and working your passion is being in control of your own life.